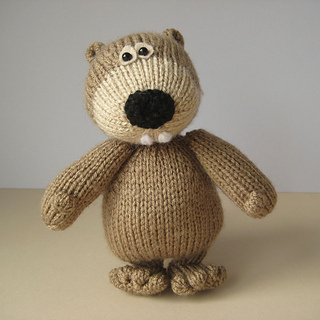 The beaver is approximately 17cm tall (when standing, from toes to tops of ears). Did you know that the largest beaver dam is over 850 metres long and can be seen from space! Wow! 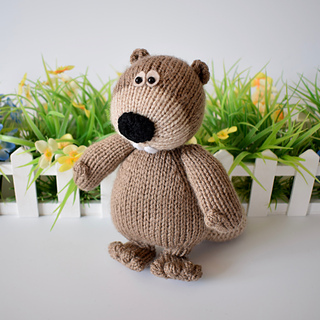 Thankfully, this little beaver doesn’t need quite so much room. 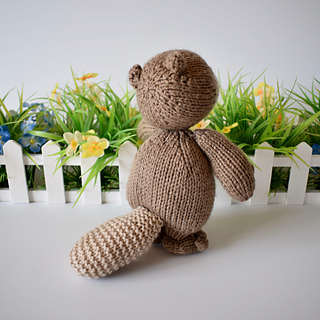 THE PATTERN INCLUDES: The pattern includes row numbers for each step so you don’t lose your place, instructions for making the beaver, 8 photos, a list of abbreviations and explanation of some techniques, a materials list and recommended yarns. The pattern is 5 pages and written in English. 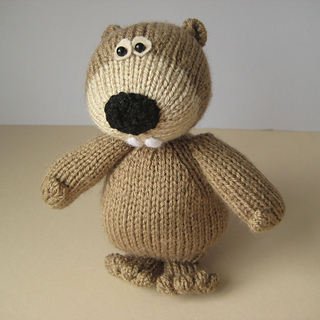 TECHNIQUES: All pieces are knitted flat on straight knitting needles. You will need to cast on and off, knit, purl, work increases and decreases, and sew seams. 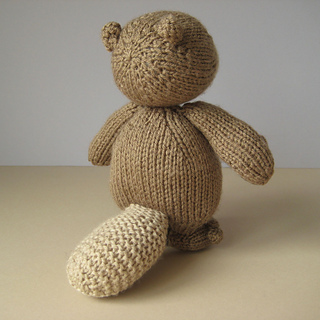 The pattern incorporates knitted bobbles for the toes, and instructions on how to knit a bobble are included in the pattern. 2 x 5mm black beads for eyes, a small piece of beige felt fabric, sewing needle and thread.